More than a dozen fast-moving wildfires tearing through through California's wine country have killed at least 10 people, destroying hundreds of homes, authorities said Monday. Fanned by winds of over 50 miles (80 kilometers) an hour, the blazes have forced more than 20,000 people to evacuate in the country's heaviest populated state since they began Sunday night. 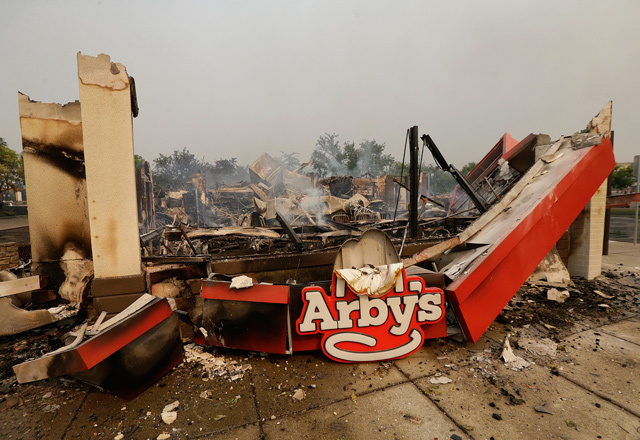 California's fire service said about 73,000 acres (30,000 hectares) have been ravaged by the major infernos. 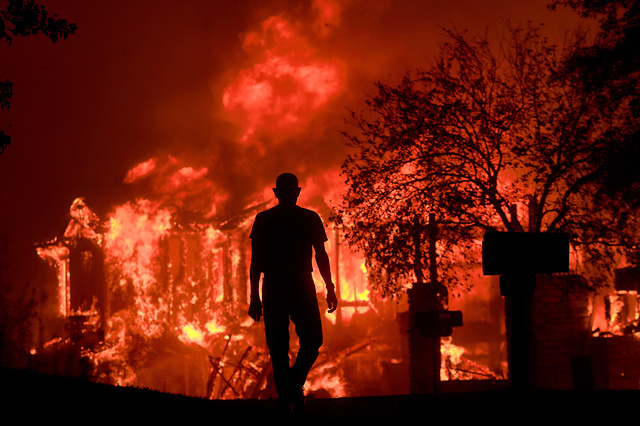 "The Sheriff's Office confirms seven fire-related deaths from the Sonoma Co. fires. Our condolences to their friends and families," tweeted the sheriff of Sonoma County in the state's north. The previous toll had stood at three. 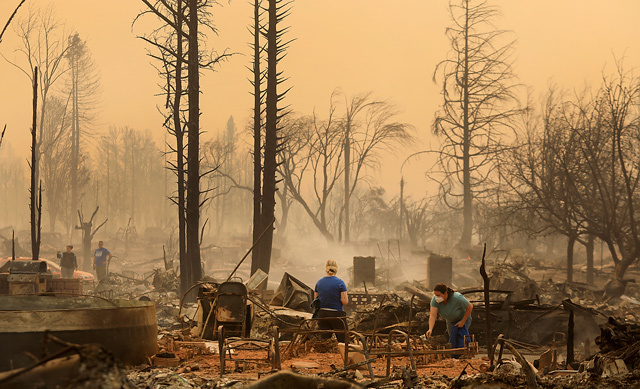 At least 1,500 buildings were destroyed as the state declared an emergency in three counties ravaged by intense fires, mostly in its famous wine-producing regions. Fourteen major fires are burning in total. Napa, Sonoma and Yuba counties are covered by Governor Jerry Brown's order. The counties are north of San Francisco Bay. An AFP correspondent in the Santa Rosa area witnessed multiple explosions from gas lines or gas tanks, in addition to charred out homes and a winery. Fire trucks were out in force in that area, he said. About 410 firefighters are working on blazes in Mendocino, a sheriff's spokesman in that county told the CBS news network, adding that multiple fatalities were expected. 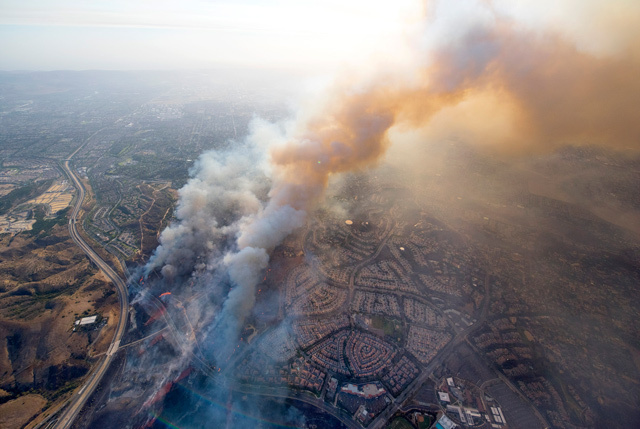 Another fire in Anaheim has surged to char 800 hectares and at least 200 fire fighters scrambled to try to contain it. Dozens of shelters were opened in schools and churches. Even livestock had shelter areas set up on some fair grounds. "We're going to have to start over completely," Dreama Goldberg, who fled her home - now a heap of ashes - at eight months pregnant, told NBC. Jesus Torres told CBS he barely had time to grab a few things and run from his home. "We could see the sky was getting red: we did not know it was fire until the last second because there was just smoke everywhere," he said. The Hilton Hotel in Santa Rosa said on Facebook that its staff and guests were evacuated safely. "The wildfires in Santa Rosa, California and the surrounding areas have forced the evacuation and temporary closure of Hilton Sonoma Wine Country," it said on Facebook. "All guests and associates of the Hotel have been safely evacuated and are not able to return until further notice. It is anticipated that the Hotel has sustained significant damage." Pacific Gas & Electric said more than 196,000 customers had initially lost elecricity although half had had their power restored. "As of 3.00 pm (2200 GMT), we have about 99,000 customers out of power throughout our service area, with the majority of them in Sonoma and Napa counties," it said. 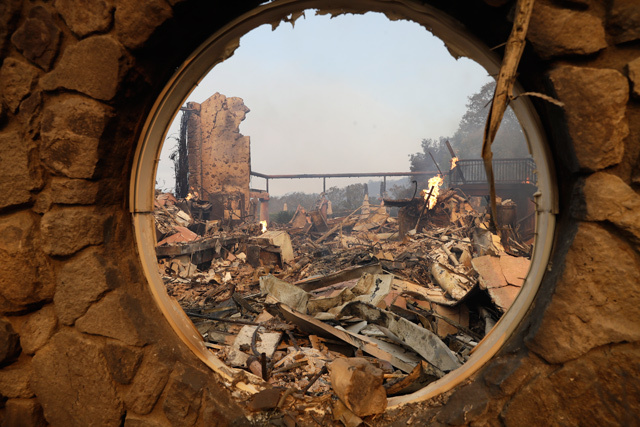 Coffey Park, a sprawling Santa Rosa neighborhood with dozens of homes, was also charred in the strong winds and low humidity fire experts said were more like fires in southern California. Cheri Sharp told Oregon-based TV news channel KOBI her home of 26 years in Santa Rosa was among those destroyed. "All our pictures are gone. Everything, everything is gone. We've got a fire pit. It's pretty awful," she said. "But we're all healthy and safe, and we have to try and be grateful for that. But it's pretty awful." 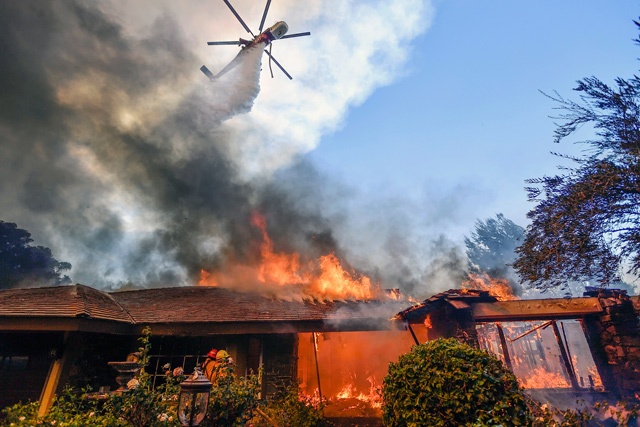 Marian Williams of Kenwood, in Sonoma County, told NBC Bay Area she joined a convoy of neighbors driving through the flames before dawn as one of the fires reached the area's vineyards. "It was an inferno like you've never seen before," Williams told the station. Governor Brown in April declared the official end of the state's drought that lasted more than five years. 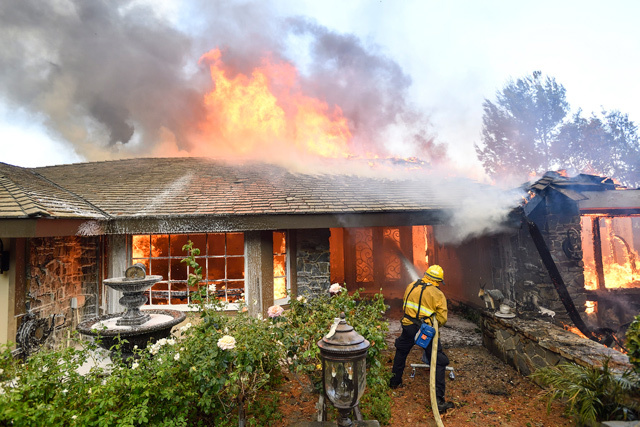 But the state is still dealing with the Santa Ana winds, a meteorological phenomenon which brings dry winds down from the high mountains east of the coastal areas -- a recipe for perfect wildfire conditions. Forest fires are common in the western United States during dry, hot summer months. Last month, a massive fire described as the biggest in the history of Los Angeles forced hundreds to evacuate their homes. 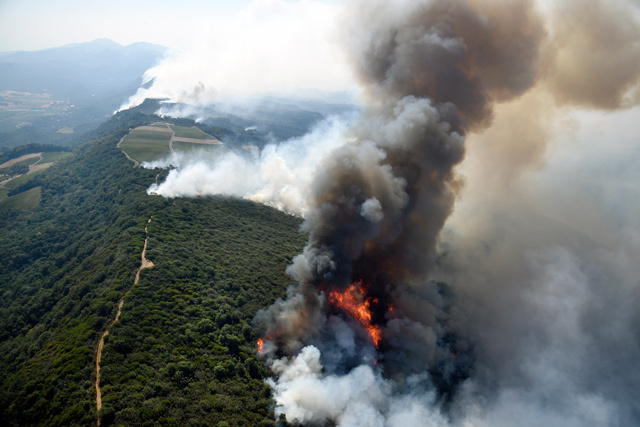 Early Monday, the fires could be smelled in San Francisco, about 60 kilometers from the closest.